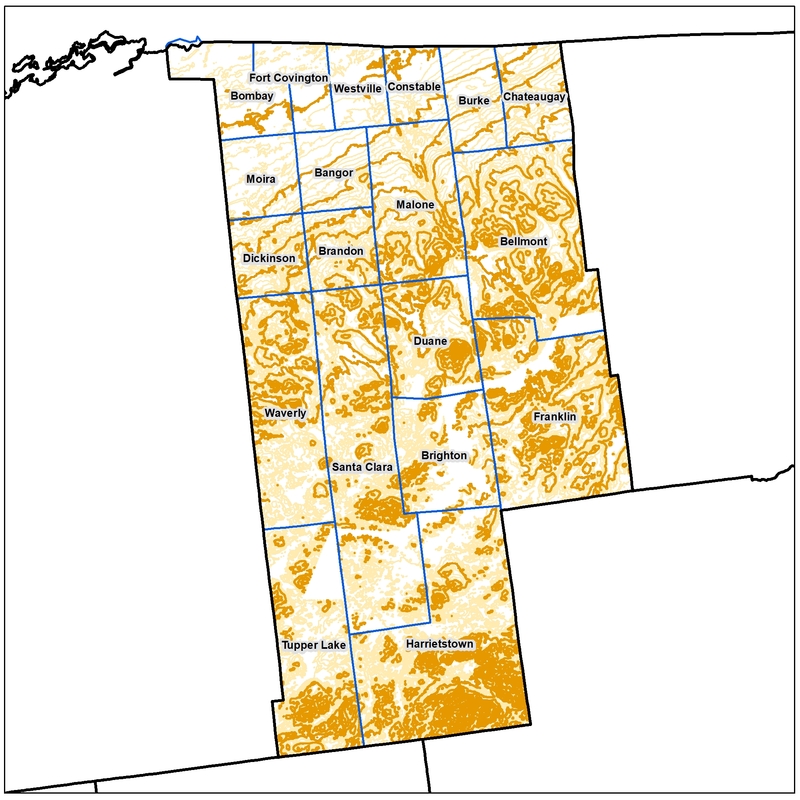 The Franklin County contours were created using a combination of the FEMA - Franklin, St. Lawrence 2016/2017, NYSGPO - Warren, Washington, Essex 2014/15 & USGS - Clinton, Essex, Franklin 2014/15 LiDAR Collections. The NYSGPO Warren, Washington, Essex 2014/15 portion of contours were generated using Global Mapper Generate Contours tool and running against the bare earth digital elevation model. Contours are stored within a File Geodatabase by town, each town has several contour intervals the end-user can choose from including 2ft, 10ft, 20ft, 50ft, 100ft, 250ft, and 500ft with a scale triggered layer file. The FEMA - Franklin, St. Lawrence 2016/2017 & Essex 2014/15 & USGS - Clinton, Essex, Franklin 2014/15 contours were delivered as individual tiles, to make the contours more useable and distributable the GIS Program Office merged the tiles by town and clipped them to a 200ft buffer of the town. The contours were then imported into a file Geodatabase where they are stored by town and have several contour intervals the end-user can choose from including 1ft, 2ft, 10ft, 20ft, 50ft, 100ft, 250ft, and 500ft with a scale triggered layer file.